I am writing this letter as a personal reference for Mr. Rodney Webb in relations to the outstanding level of service he has provided our business and out clients over the past year relating to all aspects of Pool Safety Inspections. My business is concentrated within the real estate industry where we deal with pre-sale and pre-purchase Building and Pest Inspections. We refer Rodney for all our Pool Safety Inspections because of the high level of professionalism he delivers. I have known Rodney for over 3 years and have had the privilege to see firsthand as I conduct my own building and Pest Inspections. I have found Rodney to be honest, reliable, conscientious and courteous and display a genuine concern to assist his clients with the best outcomes to obtain their own Pool Safety Certificate. Rodney’s knowledge about pool safety legislation is highly respected within the industry and also the local community. I have personally needed to seek advice about compliance issues from Rodney and I have always been given accurate and detailed advice about understanding the new laws. I believe that Rodney is one of the few pool safety expects and leaders in our region. With his passion about child safety and the fast that he is willing to help other inspectors fulfil their own pool safety roles. I trust that the information provided will be of assistance and will be happy to provide further information, if required. Should you require clarification of any points or recommendations please do not hesitate to contact me. Rodney. In all honesty, I don’t see there’s anyone else that deserves the award as much as you do. Your professionalism, knowledge of legislation both past and present and contacts in the industry are second to none. You have always been responsive and genuinely a clear and concise communicator on all levels, both over the phone, over email and in person. You have made my job a lot easier mostly due to the level of details you go to in your pool safety inspections as well as the information and easy to read reports you provide. 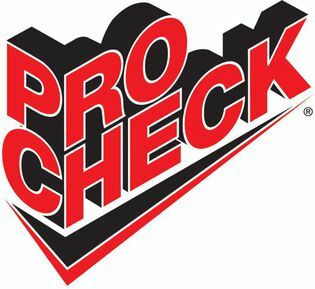 Rodney, just wanted to say thank you for your excellent service you continue to provide in regard to the many pool safety inspections you’ve undertaken for me, and on behalf of my clients, over the past 7+ years we’ve been dealing together. I have had a number of bad experiences in the past with other pool safety inspectors, when pools have been passed that shouldn’t have) and one being my own pool when we purchased our current property!). Having children, myself, and with many of my clients having children, their safety is not negotiable in my opinion. With many pool inspectors getting their license in a two day course, someone of your calibre, with your expertise and industry knowledge of the ever changing rules and regulations, is to be commended. Your opinion is one I trust implicitly both on a personal and professional level. Hi Rod, it has been a pleasure to have you service clients for the pool, pump and pool fence safety inspections over the last 10 years, and your wealth of knowledge is priceless in today’s quick-fix Facebook generation. It’s always been a joy to watch the thorough professionalism through the upper windows, as we conduct our simultaneous build and pest inspection onsite. It was most comforting to watch as you divulged your wealth of knowledge and experience upon our clients, then patiently addressed the question time quite assured and unruffled, often with special ‘Webb” humour that put the clients at ease. We thank you for your very professional service over the years and look forward to continuing to be working together in the future. Dear Rodney, we are writing to commend you on the outstanding professionalism and service to our clients over the past 5+ years regarding the provision of pool fence safety reports and certification requirements. Your knowledge and understanding of the complex legislation regarding pool fence safety and its application together with your experience and expertise has meant that your service to our clients has been invaluable. Throughout the years of engaging your services, we have found you to be always courteous and efficient, your detailed, reliable and informative reports have always been provided promptly and communicated with ease to us and our clients. When there have been issues identified in your reports, these have been dealt with in a very professional manner to reassure clients about their pool safety compliance. We highly regard your professionalism and consider you to be an essential member of our BuildingPro team of experts. As a current SPASA Australia Member, I hereby confirm that I have known Rodney Webb from AWEBBCO Swimming Pool Inspections for many years. Rod undertakes the on-site inspections of all Queensland Family Pools renovated swimming pools that require certification for their replacement pool fencing. My staff and I can also confirm that Rod’s professionalism, punctuality and knowledge of the Queensland Pool Fencing Legislation is second to none. We have received only positive feedback from our clients and will continue to engage Rod for his ongoing professional service. Mrs Olsen Snr. decided in 1980 to have a pool built to keep the grandchildren entertained. After researching many pool builders we contacted Rodney Webb of Perfection Pools. He gave us a detailed plan and cost and also the location of 2 other local pools he had completed. We were very impressed and decided to go ahead with Rod. It wasn’t an easy pool to excavate being mostly shale and rock. The pool was completed on time and at the cost quoted. There was only one small problem which Rod repaired promptly at no cost. We found Rod to be very competent and honest and have no hesitation in recommending him. Our pool has been operating efficiently for 35 years and is still enjoyed by family and friends. When the pool laws were changed we contacted Rod from AWEBBCO who is a licensed pool safety inspector. After a few minor changes the pool fencing now complies with government safety regulations. I engaged AWEBBCO Swimming Pool Inspections to ensure my pool fence was compliant with the Queensland pool safety standards. Rodney provided a prompt service and excellent knowledge of the current pool fencing laws. I would highly recommend using Rodney Webb from AWEBBCO, to ensure that compliance is achieved and make sure your pool is safe for everyone. Thank you so much for promptly attending our required pool inspection today. It was nice to be able to rely on someone who actually turns up promptly when they say they will. I also thank you so much for your guidelines in making sure our pool meets the correct legislative requirements. Safety is so important and we need to be vigilant with regards to pools, which your thorough dedication to ensuring this happens with no grey areas was to say the least, a welcome relief. Thanks to you, our pool now meets the regulations and we can put our hand up to thank you for your professionalism to ensure. I look forward to dealing with you again when we build our new pool, your guidance will be welcomed and we know now we don’t have to second guess anything. Thanks for your advice and practical cost saving ideas to have our pool fenced. We now have a compliant situation that was economical and aesthetically pleasing. It is good to see that your service over all the years has always been professional and prompt. It was around 25 odd years ago that you built the pool that has stood the test of time very well. The pool recoating that you had Paul do some years ago has kept the pool up to a high standard. Great to see that you are still active in the industry and still enjoy your work. I highly recommend your service to anyone needing professional and practical pool fencing advice and certification. Hi Rod, We want to thank you for your professional service regarding our pool safety inspection and prompt Pool Safety Certificate. We were so impressed with your industry knowledge and your courteous and easy to understand explanation of the various laws and regulations. We are very conscious of how important pool safety is to a family enjoying their pool. Your friendly approach to all aspects of the inspection made our appointment with you a pleasure. Honestly, as a landscaper I have heard a number of horror stories about pool safety inspectors. Thanks for making my experience a pleasure. Again, thank you for your excellent customer service. We are happy for you to record our positive feedback as we wish all pool owners to experience your first class service. Rodney Webb is a true expert in his field. With years of experience and endless knowledge, regarding all aspects of swimming pools, Rodney was able to provide us with a detailed report and advice on how to repair our swimming pool cracks. It was a pleasure dealing with Rodney and I will recommend his service to anyone that needs advice regarding swimming pools safety and repairs.